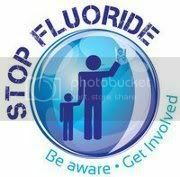 What Product is used to Fluoridate our Water Supply? 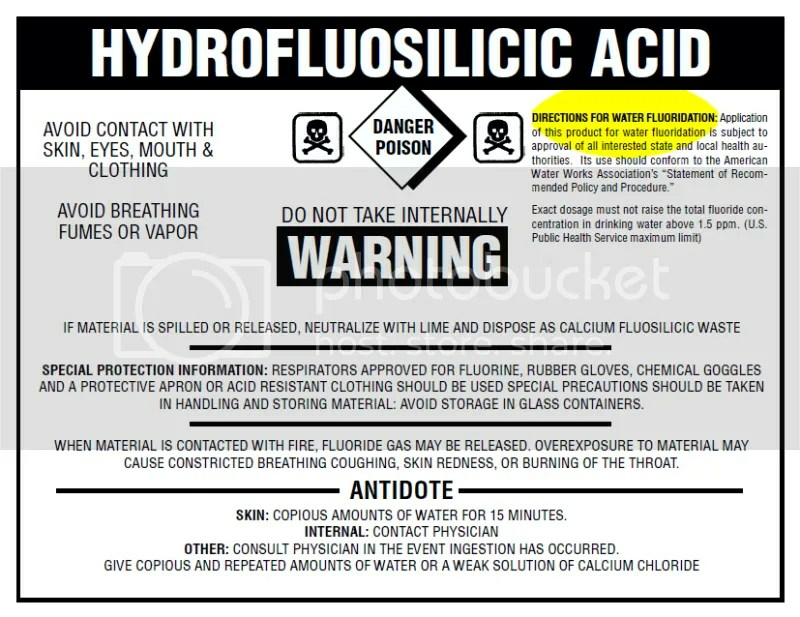 Meet Hydrofluorosilicic Acid, the product added to our water supply according to the Windsor Utilities Commission. This is the industrial grade fluoride product our municipal council uses to medicate us. Click on the warning label image to see a Material Safety Data Sheet. The liquid is an industrial waste product from the scrubbing of smokestacks in the production of phosphate fertilizer. Indeed, fluoride is the ONLY INGREDIENT added to our water supply that is not meant to treat the water but is solely meant to treat us. It doesn’t clean the water or make the water safe to drink – it is medication added to our clean water, a drug – prescribed en masse without regard to individual dosage. This is not the same food/dental/pharmaceutical grade fluoride that dentists use topically and insist you don’t swallow. Nor is it the same as the naturally occurring calcium fluoride. It is different but claims to be the same by proponents of water fluoridation. Confusion is inevitable. 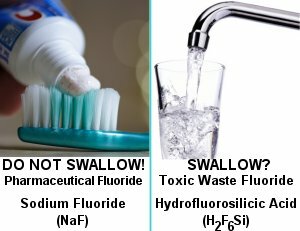 We’re told that fluoride is good for our teeth – but the dental products meant to be administered topically come with clear warnings NOT TO SWALLOW the fluoride and we know if you do you’ll be very sick. Oh, wait! The same warning comes with the industrial fluoride added to our water – the only difference is we’re to believe that because it is so diluted that it isn’t dangerous. Really? And we believe this? What about dosage control? What about the folks drinking this that are smaller or weaker and what about accumulative effects? There are no studies that show drinking Hydrofluorosilicic Acid is safe and no studies that show we should be cooking with it, bathing in it, using it to water our gardens, wash our clothing and be polluting our ground water and clean water supply with it. In fact, if we didn’t buy this product and put it in our water supply the phosphate industry would have to go to costly means to dispose of it as industrial waste.